SO among the textured nail polish trend we also have the matte glitter trend. Whether it's bar glitter, hex glitter, micro round glitter, etc. They're both pretty strong trends that I don't see dying soon. 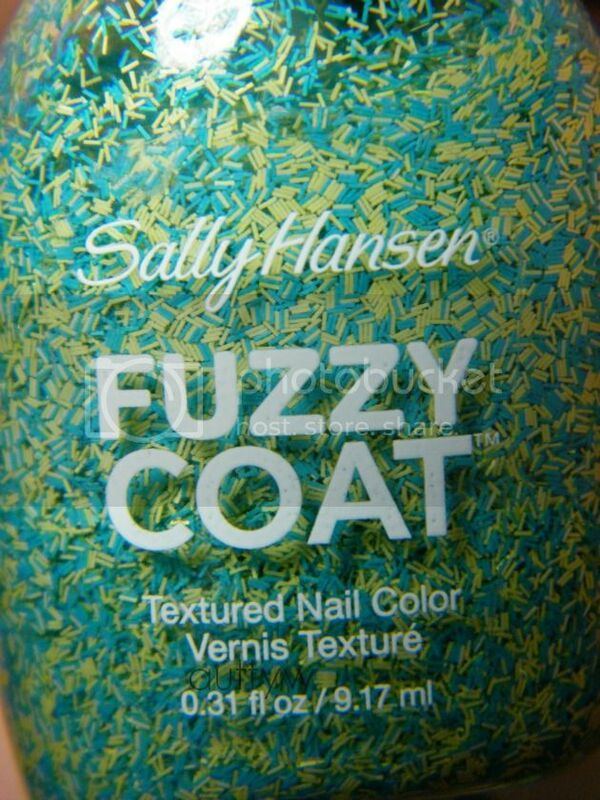 Sally Hansen Fuzzy Coat is their version of the Nails Inc Feathers polishes that came out in the UK and recently the US. 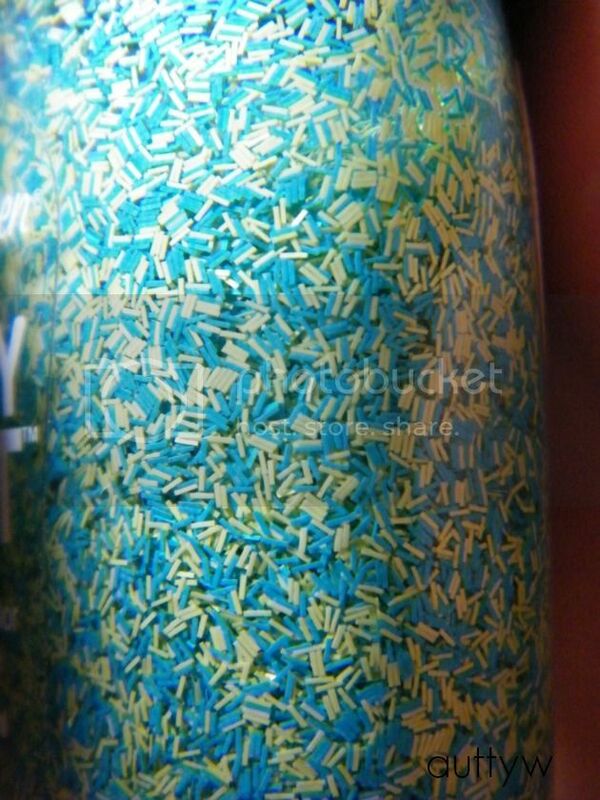 Fuzz-Sea is a blue and yellow matte bar glitter in a clear base. Fuzz-Sea reminded me kind of like Ninja Polish Floam or Salon Perfect Kaboom. Only this is bar glitter where those are small round glitters. This was about 3-4 coats. It's not opaque but at the same time, it's not meant to be opaque. The distribution of the glitter was pretty nice. It wasn't patchy or hard to get out. There is no fishing or anything that you might encounter with other glitter polishes. Yes, my nails touched and stuck together. I didn't let it dry enough before attempting pictures. My fault, Looks neat though. I'm not insanely excited about the dry time. It was longer than I would have liked. I think in total it was about 15-20 minutes from base coat to the last coat. I didn't use a top coat. I really love this polish. I don't know what it is but I love the combination of blue and yellow. It's been really catching my fancy! Have you tried any of the matte glitter polishes? What do you think of it?! You can find these anywhere that Sally Hansen is sold. I found mine at Walgreens but have seen them at Target and CVS. Not sure about Walmart, mine has their nail polish in 5 different places so it's hard to find new collections. I didn't think I would like these based on the way it looked in the bottle, but it's actually really pretty! I'd love to see it over a colored base coat.